I write to you regarding injured, and hurting children, to ask that you include them in a broad, “Healthy USA” paradigm in any new ESEA. I am an educator serving children on the front lines in elementary and middle school classrooms in my own neighborhood in a major urban center for fourteen years. I advocate today regarding an aspect of education rarely discussed, but clearly visible to experienced classroom educators. It is crucial to explicitly deal with this “elephant” before we can clearly see and interpret classroom results related to ANY other intervention. The specifics regarding Childhood Trauma, which I come to you about today, apply to all neighborhoods in the USA. Childhood Trauma is a tragic, life-changing assault on the minds and lives of children in our schools. Unaddressed (which is the general, present state), the assault from childhood trauma continues, life-long. It is powerful and shockingly prevalent. Childhood Trauma is not “poverty”. Trauma is a response of overwhelming, helpless terror to event(s) some call “Adverse Childhood Experience” (ACE): Physical Abuse, Emotional Abuse, Sexual Abuse, Physical Neglect, Emotional Neglect, Single Parent Home (due to any: separation, divorce, incarceration), HH violence, Community violence, HH substance abuse, HH mental illness. When a child is dealing with chronic ACEs in 3+ categories, the impact can be devastating personally. 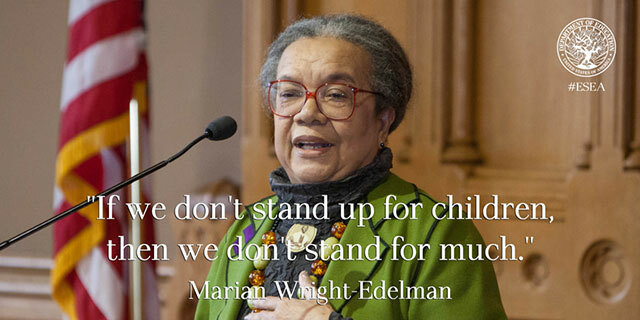 Today, the intersection of our educational system and childhood trauma is the most accessible and immediate aspect of this heartbreaking scourge. Dealing first with Childhood Trauma in education is analogous to putting the customer and the customer’s needs first in business. Dealing with childhood trauma is a prerequisite to understanding our education results. Understanding results, in turn, is a prerequisite to unwrapping our many efforts with curriculum, pedagogy, and assessment, as well as training and retaining of staff. Then it’s crucial for insightful reflection about effective education investment by any Department of Education. Successful, trauma-competent schools require consistent, system-wide responses. Conversely, I can assure you from hard experience, with scars, that attempting to “educate” first, without understanding and without dealing with the neuroscience of childhood trauma impacts is exactly like putting the cart before the horse. Childhood trauma has the power to literally change children’s physical brains, as well as their cognitive and social functioning and ultimately their life trajectories. The neuroscience is clear. Childhood trauma connects directly to education via its toxic stress effects on development of the physical brain. When children live in an Theunresolved chronic, traumatic state of survival, the toxic stress damages the function and structure of their young, developing brains. These injuries relate specifically to the prefrontal cortex and academic processes, especially crucial executive function, memory and literacy. The physiological process also leads kids to distorted perceptions of social cues, which alter their social behaviors in response. The CDC research was a massive, 17,000+ participant, quantitative study over several years, not “soft” qualitative research. Ultimately, researchers found 22%, or roughly one-fourth, of suburban, middle class, mostly white, working folks with medical insurance had experienced 3+ ACEs! Three+ ACEs is significant because experiencing 3+ ACEs correlates with doubled risk of depression, adolescent pregnancy, lung disease, and liver disease. It triples the risk of alcoholism and STDs. There is a 5X increase in attempted suicide. Later, if unaddressed, it results in work absenteeism and lost productivity as measured in billions of dollars. All as only a few examples of the impacts. The classroom challenge is even bigger than the incidence of ACEs. The crisis impacts all the children in the same classroom: when you experience the classroom dynamics and disruptions from one anxious or angry, trauma-impacted child, triggering another trauma-impacted child, who attacks a third child trying to work. The epidemic diverts teaching and learning focus for 100% of the classroom. Much more detailed anecdotal narrative is at “Peek Inside a Classoom” (Jasmine”) here or “Peek Inside a Classroom” (“Danny”) here. The children are not bad or sick, they are injured. At best they are invisible in the data and analyses, at worst they mislead our interpretation of the data and resulting prescriptions. Presently, attempts to analyze data all miss the massive scale of Childhood Trauma injuries completely (Try asking for ACE-adjusted, education data). Pivotal decisions are then based on these flawed analyses . . . Unfortunately, Childhood trauma is still “the elephant in the room”. Unrecognized or unacknowledged and unresolved, Childhood Trauma obstructs education efforts and destroys lives. You can be an invaluable step forward for children and front-line educators. Use your positions to flood a spotlight on “the elephant in the room”. Help grow awareness. Expose trauma’s classroom impacts on a broad base, across our nation via all your communication tools. To the extent that monies can be allocated, or exhorted, the next priority beyond awareness would be to invest in rapid, broad training for educators. Incent a new level of close coordination between medical and educational and social services professionals. This means including screening children and providing supports as another level of benefit from explicit, national priority. Essentially the “community school” concept, but with a specific goal of addressing complex childhood trauma. Eventually children themselves should be taught “self care” for trauma-impacts, as part of Health and/or Social Studies curricula. You are probably ahead of me in seeing much broader benefits as a longer term legacy for our nation. We all have a choice to address trauma’s impacts, or not, while children are growing. It’s a call to lead now. To address trauma explicitly while children are young when healing can happen more quickly emotionally, neurologically, and academically, which in turn will lead to better social and financial productivity for our country in adulthood. Thank you for making education a priority and thank you for giving educators a voice. * * NOWHERE TO HIDE * * Andre’s Fear; What are “Adverse Childhood Experiences”? * * NOWHERE TO HIDE * * Maria: Fight, flight, or freeze? Hillary wants to experiment with the lives of poor children? Pennsylvania is Failing in Philly Public Schools… so, close schools ? Education Equity: failing funding or fair funding? Translate this: It’s NOT about learning. . .
What’s More Important? Test Data or Life Data ? Peek Inside a Classroom: Failing Schools, or Failing Paradigm ? Daun Kauffman has taught . . . (actually, mostly learned) in Philadelphia public schools for 19 years. Prior to public education, Daun worked as a business executive for about 17 years and earlier as a biomedical photographer. Hard to predict. Traditional at heart. Artist's soul.